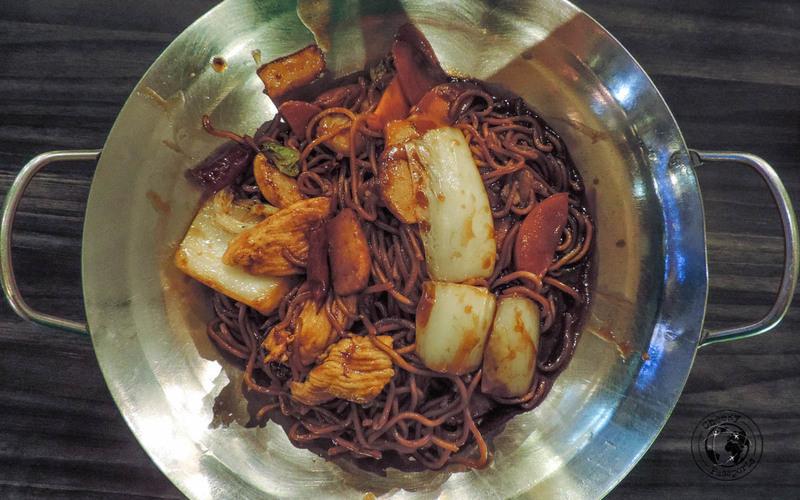 Although we really recommend the street food in Malaysia , which we normally ate on the go, there were times when we wanted to sit down at a restaurant and take a break from the buzzing activity of Kuala Lumpur’s busy streets. When we dine out, we always try to find budget-friendly places serving good quality food, preferably in large portions. 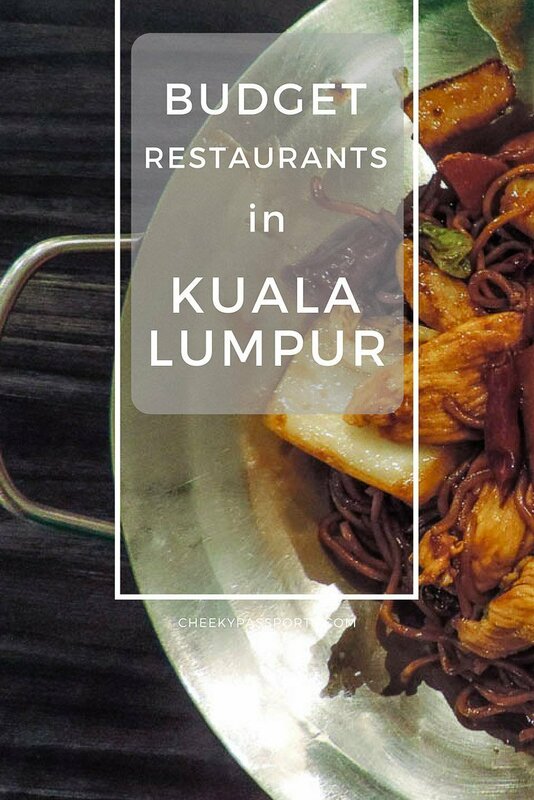 Here we list some of our favourite budget restaurants in Kuala Lumpur, mostly located in and around the Bukit Bintang area. 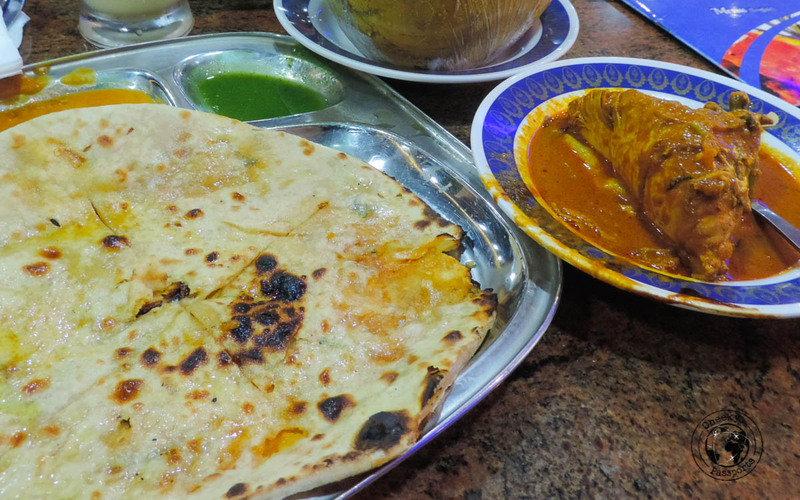 Besides hawker stalls, the best bet for good budget-friendly food in Malaysia are the many Muslim-Indian restaurants. 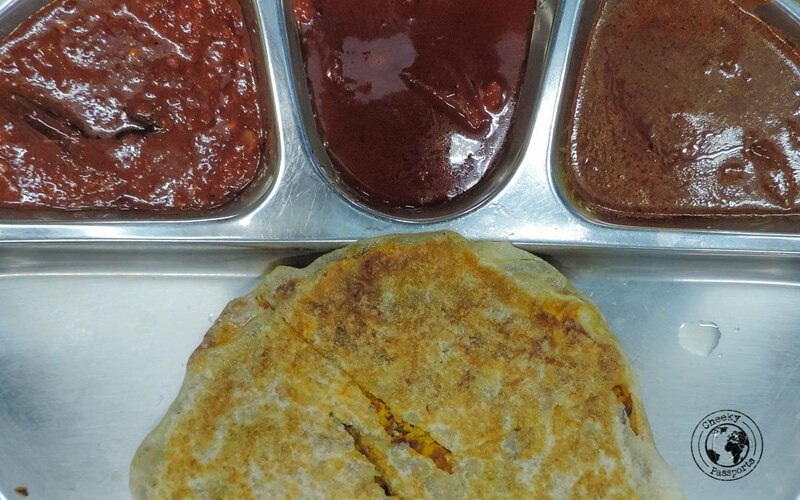 The so-called Mamak stalls are very casual, 24-hour restaurants serving both Indian and Muslim fare which usually consists of rice and a variety of meat, fish and vegetable dishes cooked in different sauces, as well as various naan, murtabak, indian curries, briyani, roti and so on. 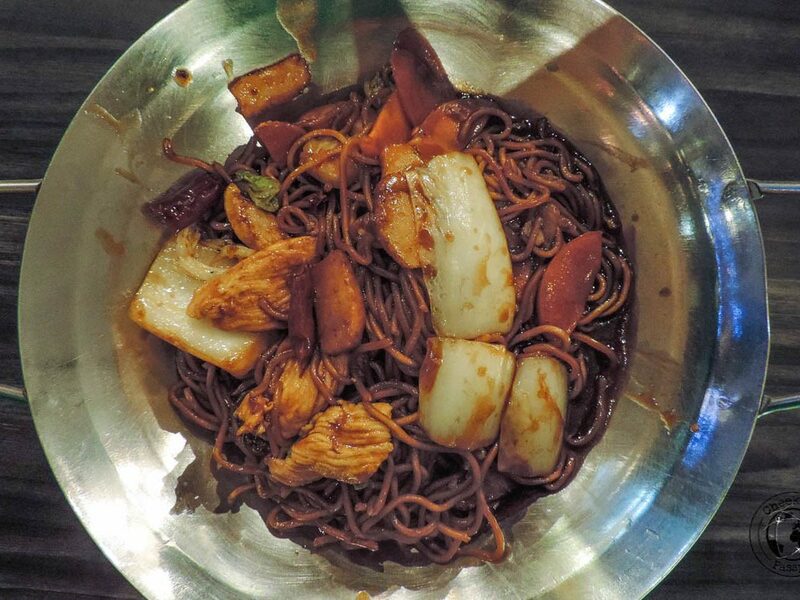 Dishes may include offal, chicken feet, eggs and fish heads and all sorts of “local” ingredients. 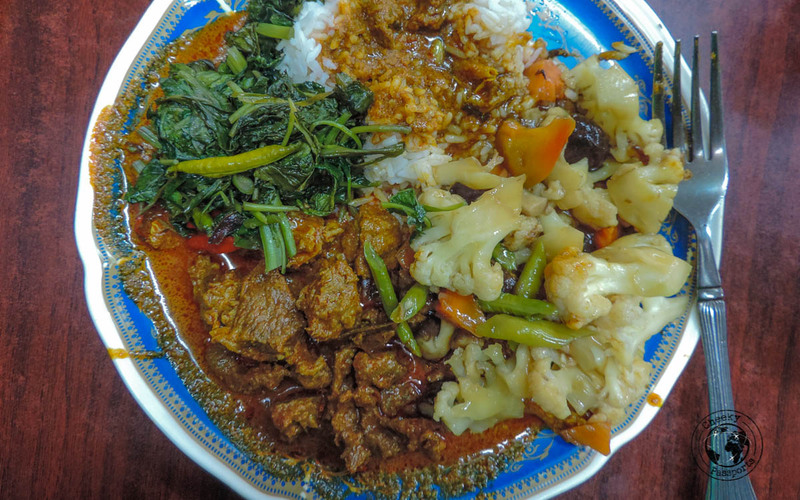 The food, including the vegetables is usually very fresh and when dining at Mamak stalls, we always found the experience to be very genuine. We noticed that some of the stalls served beef (but never pork) which was always clearly labelled since it is not eaten by Hindus. After filling up your plate, one of the waiters will come to inspect it and write down what you’ve chosen to add to the final price, so effectively you won’t really know what the dishes cost before you pay. No worries though, it should be pretty cheap. The plate below only cost a total of 10RM (that’s €2)! Casual restaurants (similar to Mamak stalls, but serving a wider range of food) are also a good budget option. They tend to be slightly more expensive than a Mamak, but might serve a wider variety of Indian food, Thai food and even Mongolian barbeque. Such restaurants in Kuala Lumpur are very popular with tourists. This very popular mamak stall is always packed with locals and tourists alike. 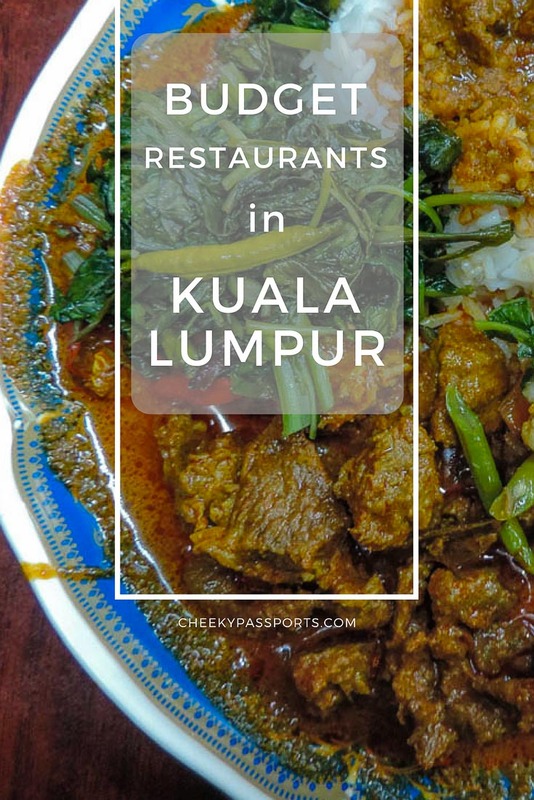 It was our favourite of the budget restaurants in Kuala Lumpur – the butter chicken and butter paneer are to die for and we always stuffed our faces with far too much food there! TG’s menu also contains a large section of Thai food which we didn’t try much of since we preferred the Indian food options. 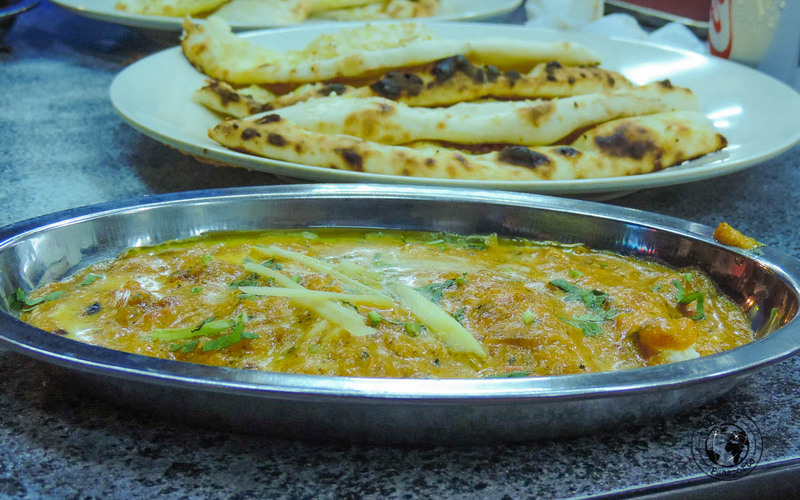 Butter chicken with rice or plain naan will set you back about 10RM (that’s about Eur 2). Address: 3, Jalan Tengkat Tong Shin | Bukit Bintang, Kuala Lumpur 50200, Malaysia. This Mamak was the closest restaurant to our apartment so we went there a few times in bad weather or when we didn’t feel like walking too far. Although the quality is not amazing, the food is pretty tasty and prices are very affordable. The bill for Nasi Kandar for both of us (with enough food to keep us happy for a whole day) was rarely more than 20 RM (€4). We enjoyed trying out the different rice and noodle dishes here. A set meal, called Asia delight, consisting of a fried rice or fried noodles dish (they have several dishes to choose from with all sorts of ingredients) and a drink costs around 9.90 RM (€2). The ambience is very relaxing making it a comfortable place to chill out. Unlike the Mamak stalls, they serve beer too! This Mamak stall is located close to Chinatown and we were told that it specialises in large portions of tasty Muslim Indian food. 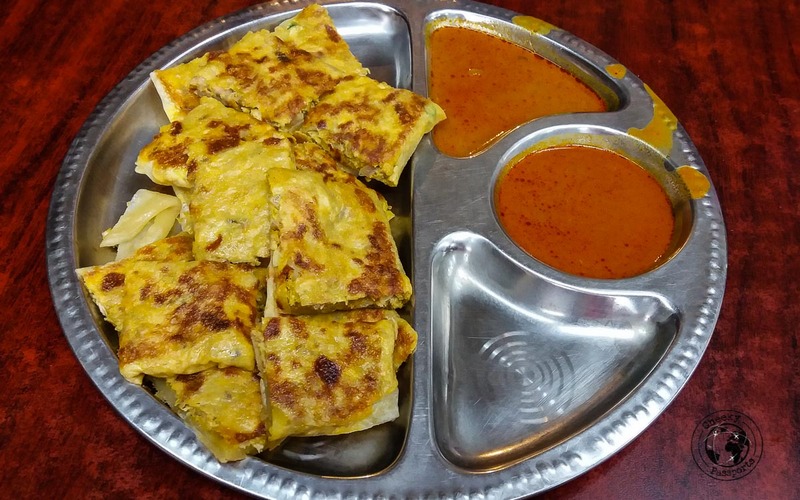 We went very late during Ramadan and a lot of food seemed to have finished on the day but we did get some great murtabak. We can recommend it for that only, though we would have loved to try other dishes had they been available. Chicken murtabak cost 10 RM (€2) and was served with the usual dipping sauces. This very large Mamak place, a stone’s throw away from the Suria KLCC is always packed and it’s easy to see why. The food is really fresh, the portions good and the menu vast! 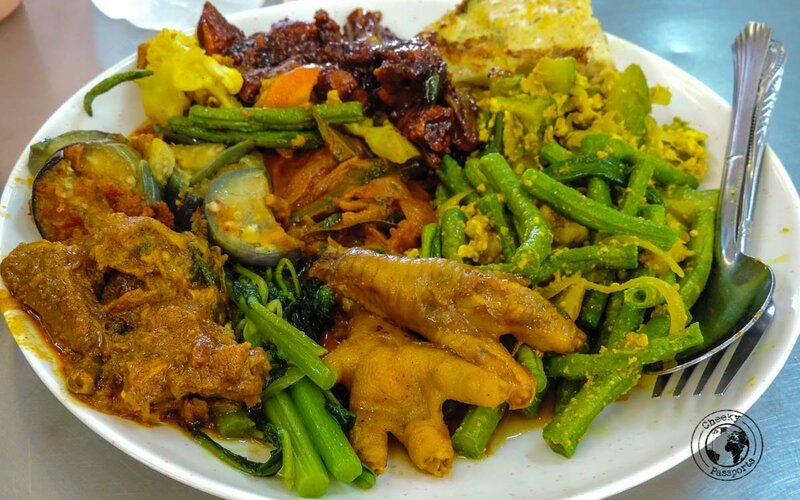 It is the perfect place to grab a cheap dinner before watching the fountain show at the Suria KLCC, and is clearly one of the more popular budget restaurants in Kuala Lumpur.